The Telecom Regulatory Authority of India (TRAI) has released the subscriber data for the month of June 2017. 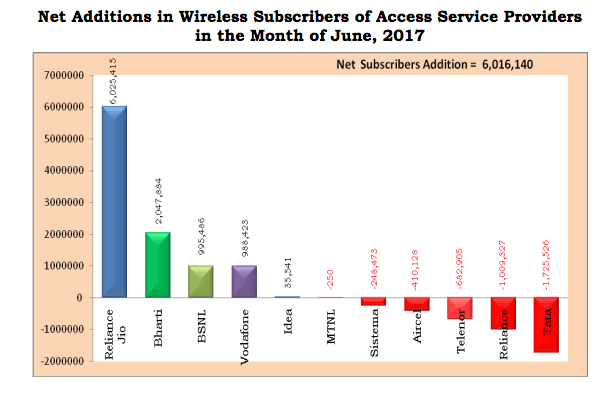 The total of telecom subscribers in India (both wired and wireless) increased from 1,204.98 million at the end of May 2017 to 1210.84 million at the end of June 30, 2017. 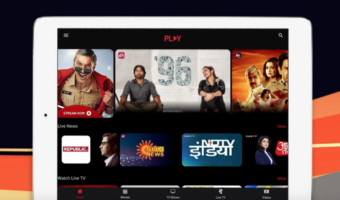 Overall, the subscriber addition showed a monthly growth of 0.49% from May 2017 to June 2017. Digging into the report, the urban subscription increased from 697.06 million at the end of May 2017 to 700.96 million at the end of June 2017, and the Rural subscription increased from 507.92 million to 509.88 million during the same period. The monthly growth rates of urban and rural subscription were 0.56% and 0.39% respectively during the month of June 2017. Coming to the wireless subscribers’ department, the total wireless subscribers (GSM, CDMA & LTE) increased from 1,180.82 million at the end of May 2017 to 1,186.84 million at the end of June 2017, thereby registering a monthly growth rate of 0.51%. The Wireless subscription in urban areas increased from 676.65 million at the end of May 2017 to 680.66 million at the end of June 2017, and wireless subscription in rural areas also increased from 504.18 million to 506.18 million during the same period. The monthly growth rates of urban and rural wireless subscription were 0.59% and 0.40% respectively. 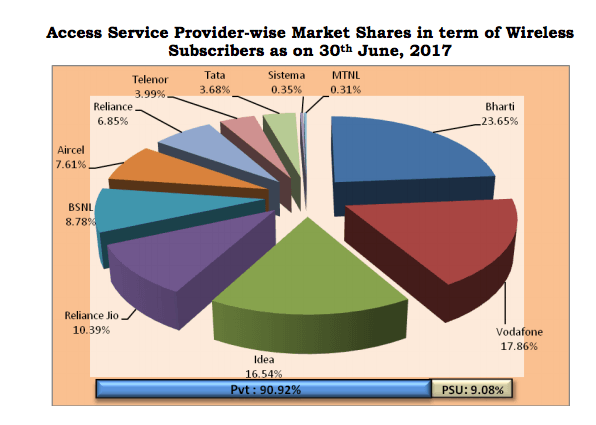 Individually speaking, Reliance Jio added the most number of subscribers in June 2017. The newcomer has added a total of over 6 million customers, extending the overall market share to 10.39%. Next to Jio is Bharti Airtel, which added just over two million subscribers, taking the overall market share to 23.65%. 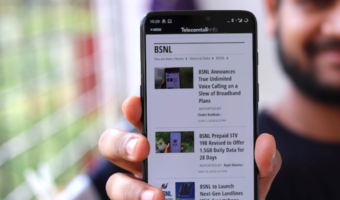 Interestingly, BSNL is the third operator in the subscriber addition list, adding nearly 1 million new users, followed by Vodafone India and Idea Cellular with a measly 9 lakh customers and 35,000 subscribers respectively. As seen in the recent past, subscriber addition of Telenor, Tata Docomo, Reliance Communications, and Aircel yet again saw a downfall. Overall, Reliance Jio’ subscriber base at the end of June 2017 stood at 123.4 million; Airtel’s overall base is 280.6 million. Vodafone and Idea Cellular customer base increased to 211.9 million and 196.3 million respectively. 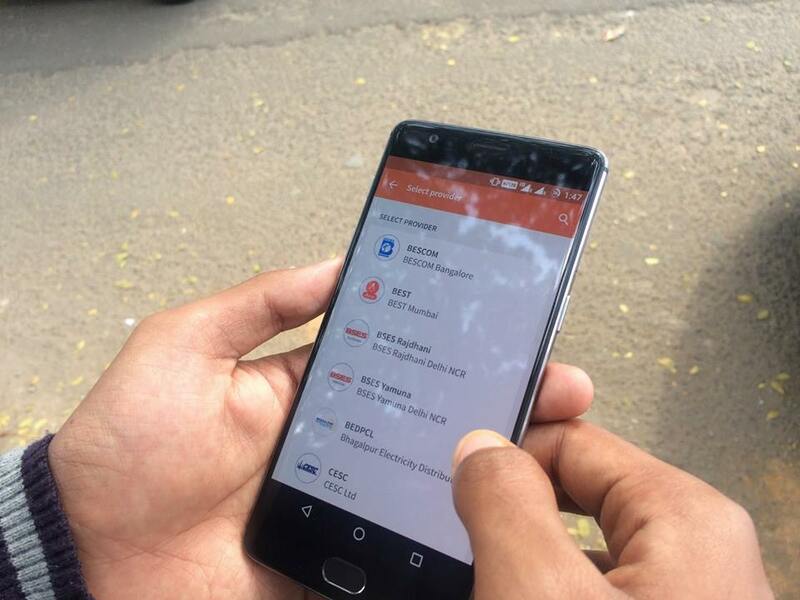 Trai also released the total number of Mobile Number Portability (MNP) connections it received in June. 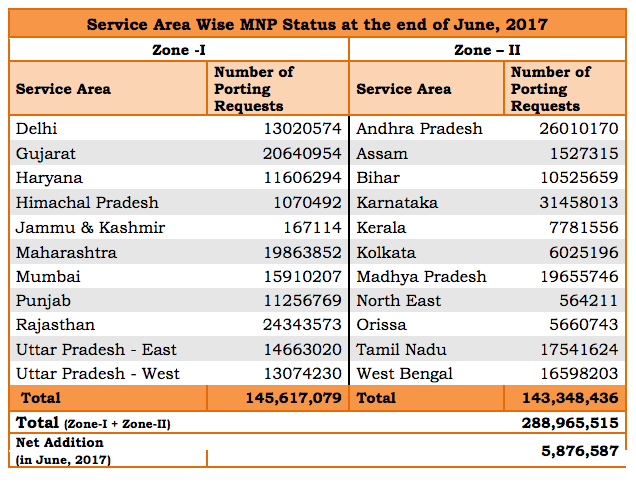 A total of 5.88 million requests was received for MNP. With this, the cumulative MNP requests increased from 283.09 million at the end of May 2017 to 288.97 million at the end of June 2017, since the implementation of MNP. Where are the people who always used to say “let Jio start paid services & then watch freeloaders throw their SIMs” lol. Every person I know who has a 4G smartphone is using Jio. +1 Same scenario here too ..
+1 I was the one to say let it start paid service then I will start using Jio. Now I m using the Jio sim which I got in November to test and enjoy free data+calls plus my primary number also ported to Jio.